You deserve to have the best deadlift shin guards when you want to protect your shins while deadlifting. Protective equipment is essential for all athletes that wish to achieve peak performance. By ensuring the safety and comfort of important body parts during training or events, you will be able to boost your athleticism and reach your fitness and training goals faster. Some indispensable pieces of gear are shin guards and socks. Football fans may be more familiar with the term, as shin guards are considered to be staples of the sport. They were introduced in 1874 by one Sam Weller Widdowson, who took inspiration from the equipment used in cricket. The need for shin protection was ridiculed by professional players at first, but now it is more appreciated than ever. After shin guards finally became accepted in the world of football and their potential was recognized, many other sports introduced them to their list of staple equipment that ensures the security and defense of participants. 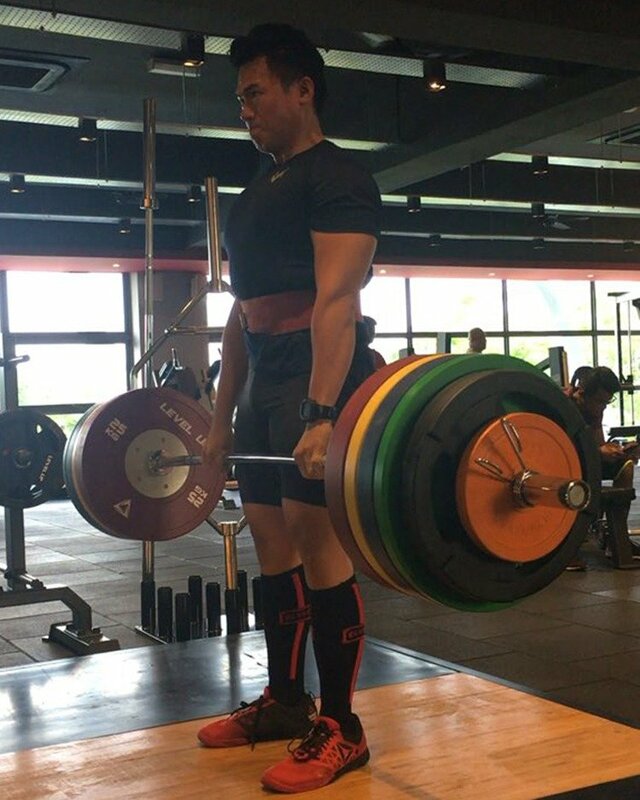 One activity in which they have become the norm is that of deadlifting, an integral part of bodybuilding, powerlifting and fitness transformation. 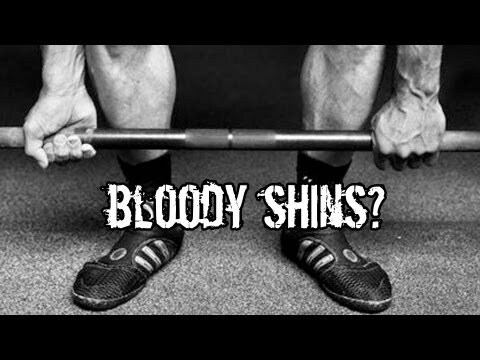 There are two main types of shin guards used for deadlifting, namely socks and sleeves. According to a 2014 study conducted on a sample group of football players, EVA, neoprene, and carbon are the best materials that provide the adequate amount of protection. This is naturally true for fitness enthusiasts as well. Here are our top 5 deadlift shin guard picks for you to try in 2019. Moxy deadlift socks are knee-high and specifically targeted towards deadlifts. They are tight-knit, yet breathable, which maximizes athletic performance and sustains your workout regardless of how difficult it is. They also support the shin and are smooth to the touch, which increases comfort during the training session. The specialized Achilles tendon cushions of the Moxy socks supports the arch and absorbs shock, while their optimal length offers full coverage of the area that is most prone to injury. They come in a variety of models, from skulls to unicorns and everything in between. Pairs usually retail for 10 to 20 dollars, depending on the fabric and print. All in all, Moxy deadlift socks are one of the best deadlift shin guards you can purchase and use today. Use my Moxy Socks coupon code for a 25 percent sitewide discount. The Adidas Rivalry Field OTC Socks are perfect for both deadlifting and soccer if that’s more your speed. They provide athletes with a comfortable fit and enough moisture wicking to ensure an effortless experience. They aim to protect the shins and calves from the scraping and bruising that is characteristic to the activity, and they retail for around 12 dollars a pair. The SBD USA deadlift socks provide the leg with soft support for the shin area, which prevents cramps from developing after long and intense sessions. They are woven in such a way as to not catch or snag at the bar, and their protective layer impedes injuries. They usually sell for around 17 – 18 dollars per pair, but you might be able to find them at a different price in some locations. If high socks aren’t your cup of tea and you want something with a bit more reinforcement to sustain your deadlifting, sleeves are the ideal solution. Bear Grips are some of the best on the market, as they are made from 5mm-thick soft neoprene and have a lateral zipper for easy put on or removal whenever you might need it. To prevent the Bear Grips sleeve from falling down, a silicone band has been sewn in at the top. This piece of equipment is available in three color options, namely black, pink, and neon green, and it can be purchased in a pair, or individually. Thus, prices vary from 25 to 45 dollars. When it comes to innovative design and efficient use of materials, nothing quite beats the quality of RockTape RockGuard sleeves. The new, third generation of equipment is built with a double layer for additional security. Thus, the shin side sports 5mm perforated neoprene, while the back is adorned with a four-way synthetic material that is breathable and light. To avoid slippage, these deadlift shin sleeves have integrated silicon beads. This is also great for keeping any debris out, which means that they can come in handy for a variety of sports other than deadlifting as well. A pack of two retails for approximately 38 dollars, which is a great deal that you should take advantage of. Deadlifting can be a very rewarding physical activity as long as you remember to protect your body from damage. Shin guards are an excellent choice for this, as they impede any scraping, scratching, or bruising from occurring, thus keeping the leg safe and comfortable. Depending on what your needs and preferences are, any of 2019's best deadlift shin guards mentioned above will make a suitable choice. Luke S. Mitchell is an MS Undergraduate in Sports Journalism and manager of Defend Your Healthcare. He is interested not only in the mind-body relationship and how motivation shapes our bodies but also in how we draw energy just from one simple yet powerful thought. You can find him on Facebook and Twitter.